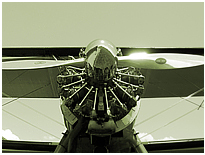 Designed by T.Claude Ryan (1898 – 1982) who first became famous after the success of Charles Lindbergh's Trans-Atlantic flight in the Ryan NYP “Spirit of St. Louis”, which was built by the Mahoney-Ryan Aircraft Corp. in 1927. 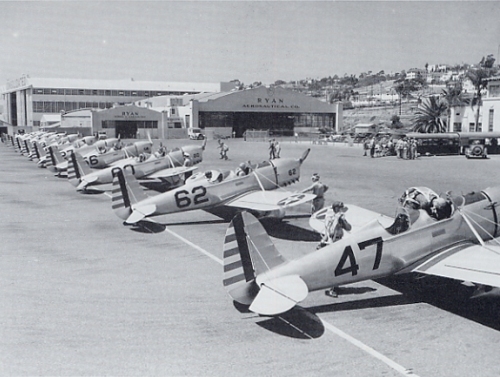 After the great depression, Claude Ryan founded the Ryan Aeronautical Company and began production of a new design called the Ryan Sport Trainer Model 1 (ST-1) powered by a 95hp Menasco B4 engine. 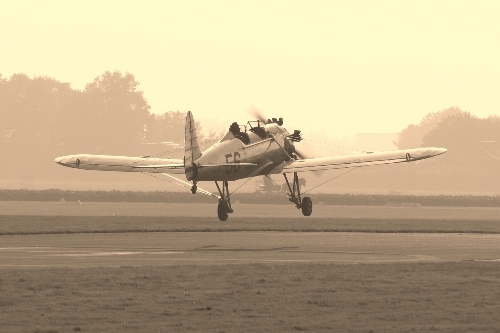 The Sport Trainer Model-3 (ST-3) was the first one to be powered by a 125hp Kinner B-54 engine (Ryan ST-3KB, c/n 1000, NX18925). The second prototype, Ryan ST-3KR (c/n1001, NX18926) was the forerunner of the PT-21, PT-22 and NR-1 aircraft. The power was increased to 160hp with the Kinner R-55 (R-540-1) and later on the R56 (R-540-3). There are now 7 Ryan PT22s flying in Europe with N59GD (c/n 2186, A.A.F. 41-20977) as the only one in Austria. Flying the Ryan PT 22 is pure fun although it is commonly referred to be a challenge to new pilots. 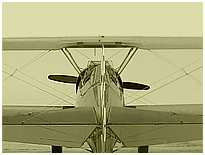 As the PT 22 has the “nosewheel” on the right place, the ground handling characteristics are demanding. 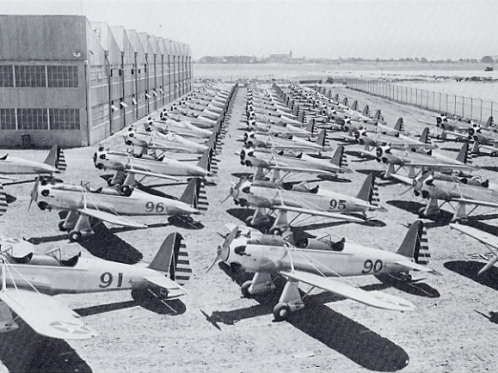 Besides the PT 17 and the PT l9, the Army Air Force used the PT 22 as a primary trainer for their cadets throughout World War II. ...some of them even flew "down under".